Here is a more recent picture of Wedgwood’s house, Etruria Hall, than the one on the plate in my last post. 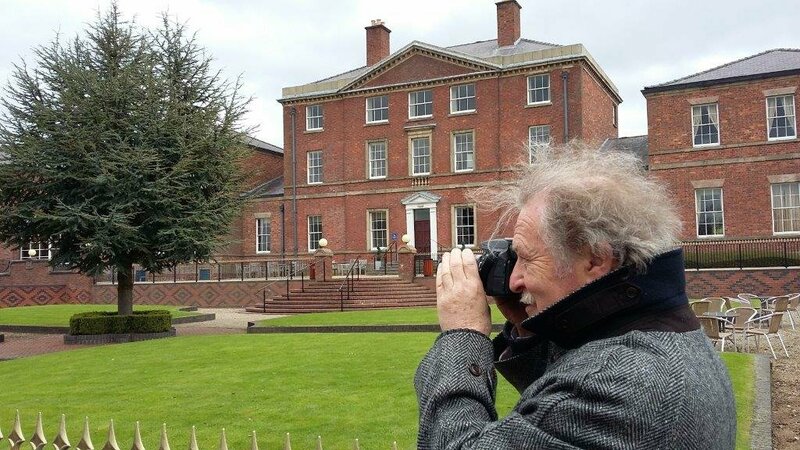 The house was built about 1770 next to the Wedgwood factory, between Burslem, Hanley and Newcastle-under-Lyme. The enlightened and progressive Wedgwood was a promoter of the Trent and Mersey Canal, which passed by carrying clay and coal to Etruria and finished pottery to the customers. Etruria Hall was designed by Joseph Pickford of Derby, who worked for several members of the Lunar Society, including Wedgwood, Joseph Wright of Derby, Matthew Boulton and John Whitehurst. The house was extensively remodelled in the 19th century. It’s not an outstanding building and its Grade II listing must be for its historical rather than architectural interest. Only the shell has been preserved and there is nothing original inside. 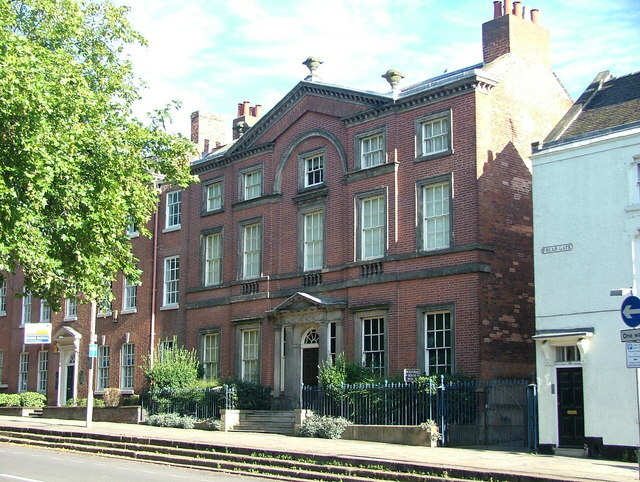 Pickford’s own house in Derby (below) is grander.